The fabric for this bandolier is printed with a design of Birds and Hearts. 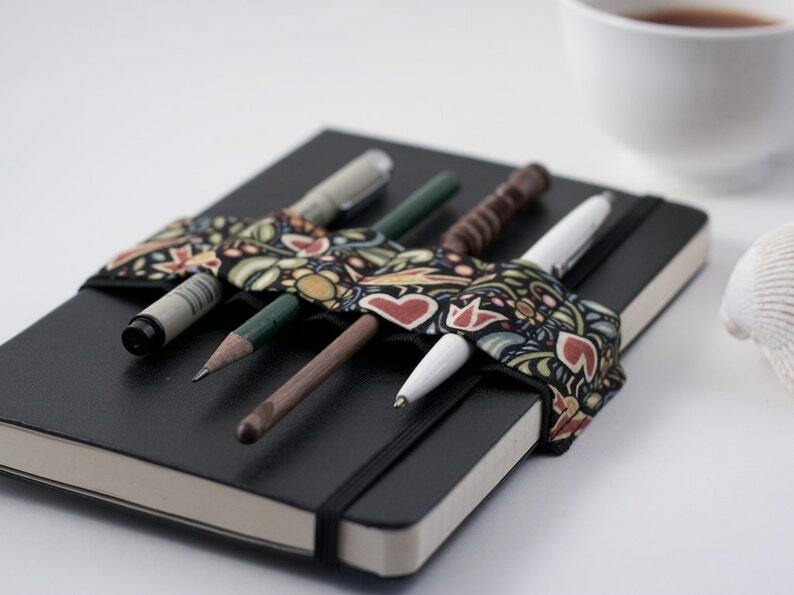 - It will stretch to fit larger books with circumferences up to around 13.5"
Custom tailoring to fit any size journal and slots to fit any tool are available using the custom order listing in this section. I plan on purchasing another one of these.